My friend Dave and I had a long weekend in Holland to search for Dragonflies. 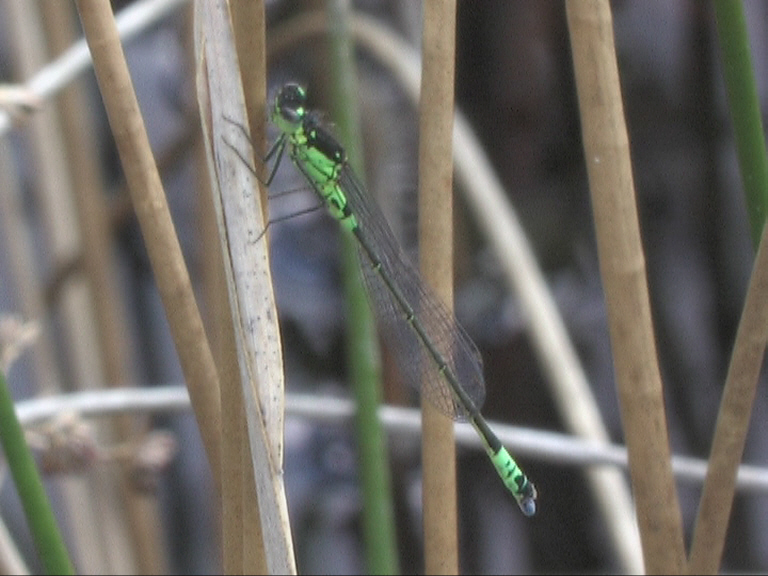 This was my fifth visit to the country in two years as it holds a number of species that are very rare in the UK or have a potential for vagrancy and colonization. We camped for three night at De Kluft Camping http://www.dekluft.nl/?/106/2/Home . This site was chosen as it is situated in the Weerribben-Wieden National Park which is a fantastic lowland marsh reserve. I compare it to places in Norfolk but a whole load better. 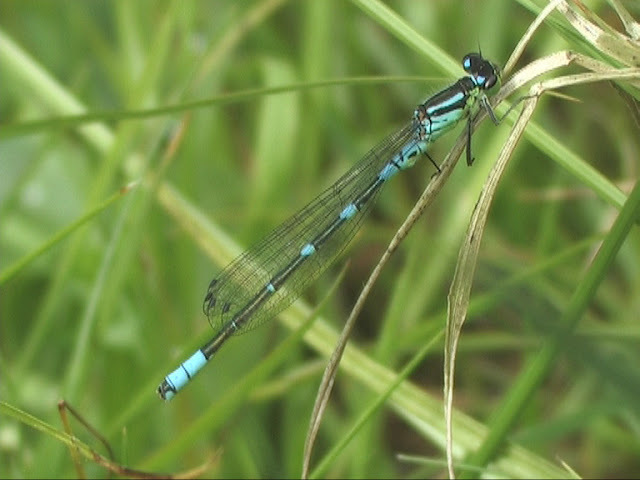 De Weerribben holds a small population of Norfolk Damselfly although they can on be visited by arranging a permit and a boat. 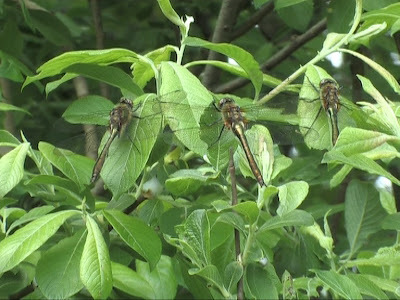 I had seen them in 2010 but was happy to go for seconds to improve my video footage. 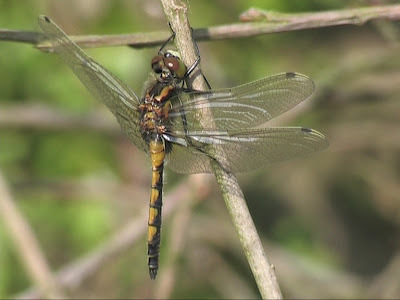 At this time of year De Weerribben also holds Large White-faced Darter and huge numbers of more widespread species such as Downy Emerald, Scarce Chaser and Norfolk Hawker. Overwintering Siberian Winter Damsel can also be found at this time of year with a little patience. 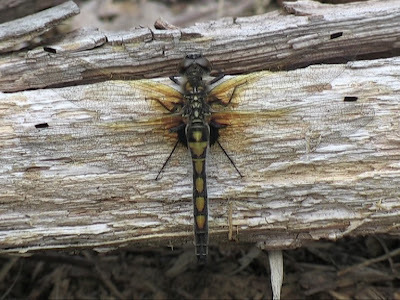 We were early in the season so all the Large White-faced Darters we saw were immatures and tenerals. 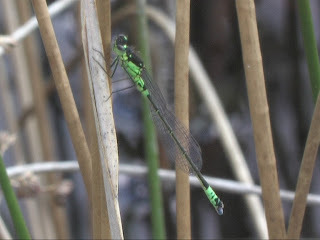 We saw no adult males on this trip although I had seen them well in 2011. 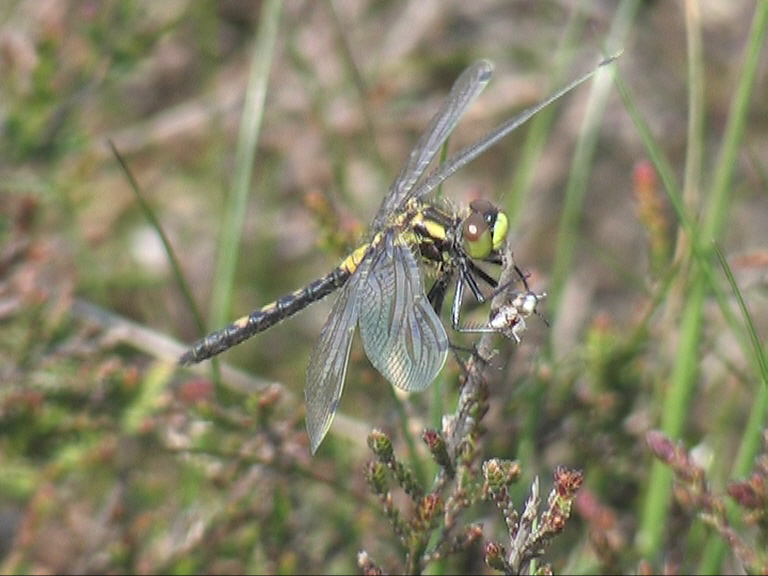 We also visited more acidic heathland sites at Vledderveen, Kootwijkerveen and Tongerense Heide to search for both White-faced and Northern White-faced Darter and Irish Damselfly. Identifying female pectoralis from rubicunda can be quite difficult. 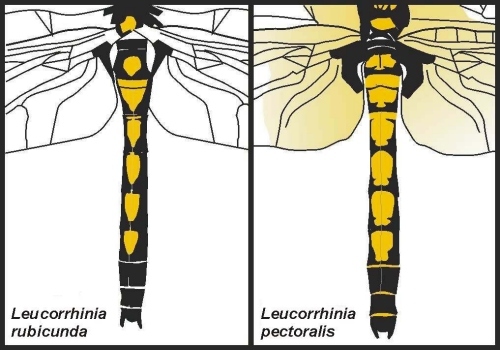 Notice how the 7th segment spot extends to the end of the segment in pectoralis and is broader with a more square base which is also present on the spots on segments 4 to 6. 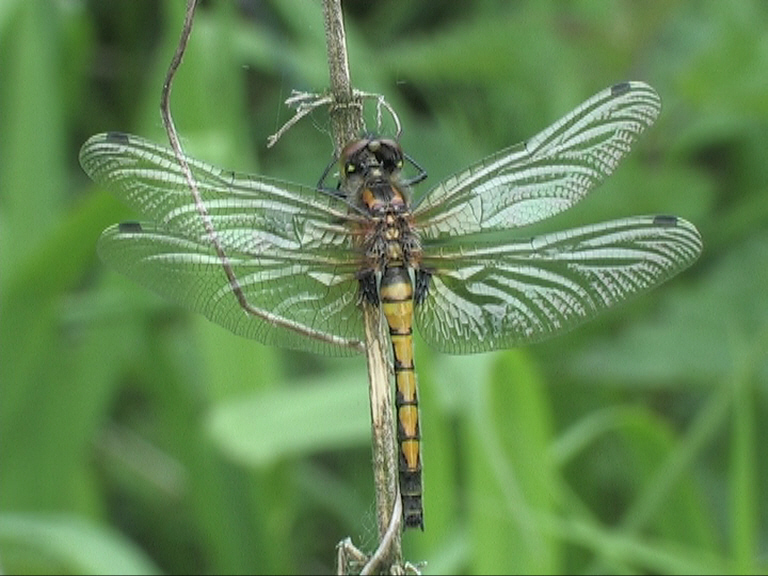 The amount of yellow suffusion in the wings is variable. 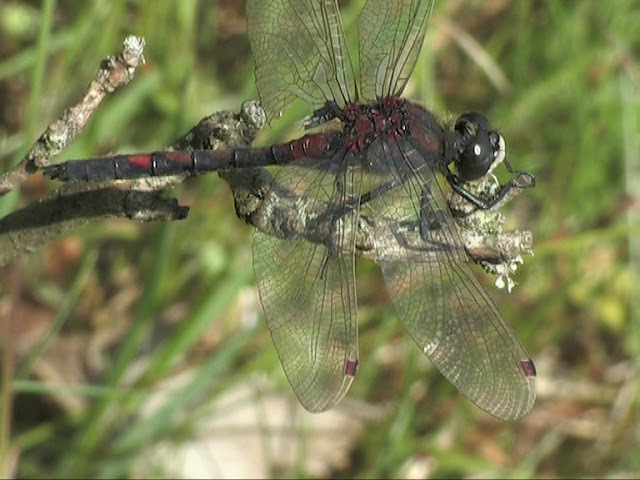 Male rubicunda is very similar to dubia (White-faced Darter) but the pale leading edge along the entire length of the wing and the red pterostigma are diagnostic. 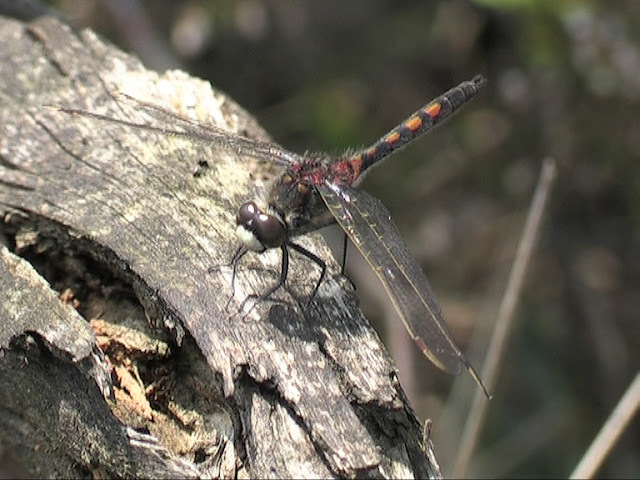 The pale leading edge only goes from the wing tip to the costa in dubia. 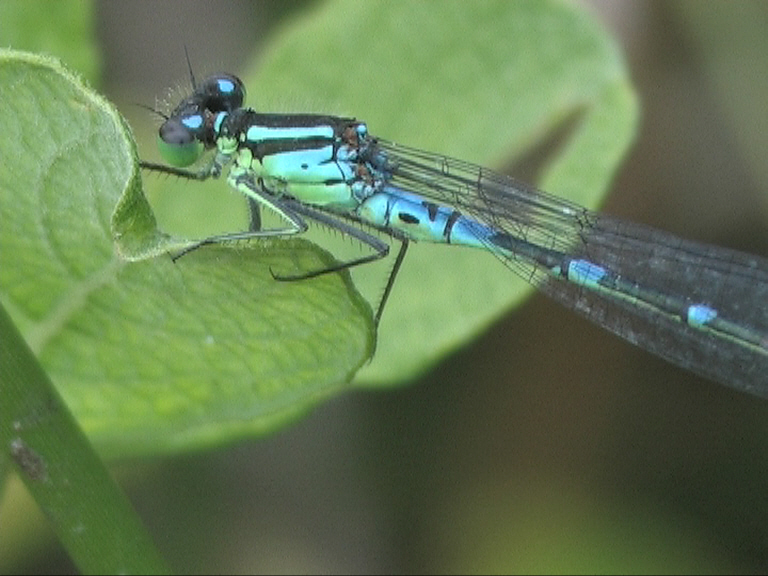 Male Irish Damselflies have obvious green eyes and pale green underside of the thorax. The second segment marking is also diagnostic. 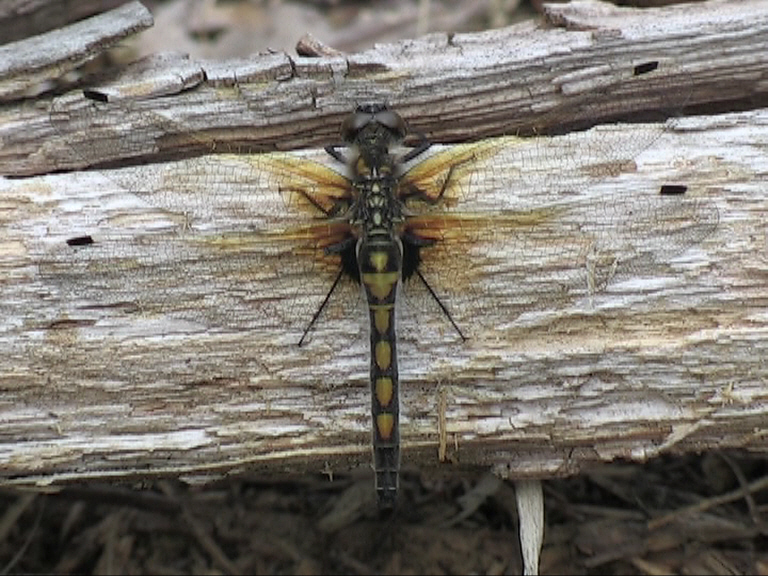 We had a very successful trip connecting with all of our target species. 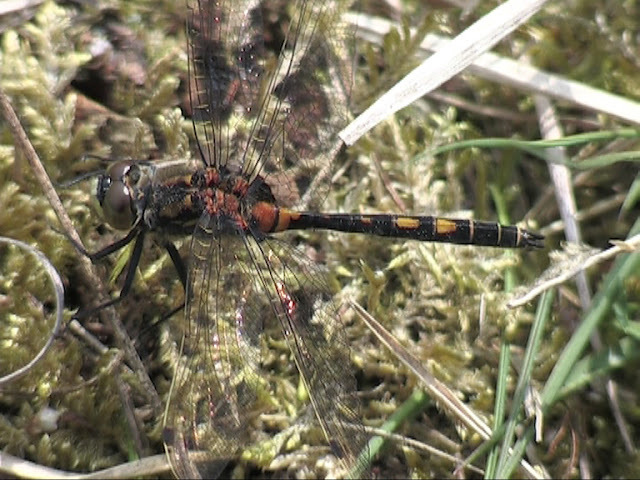 We were also lucky with some nice warm weather. 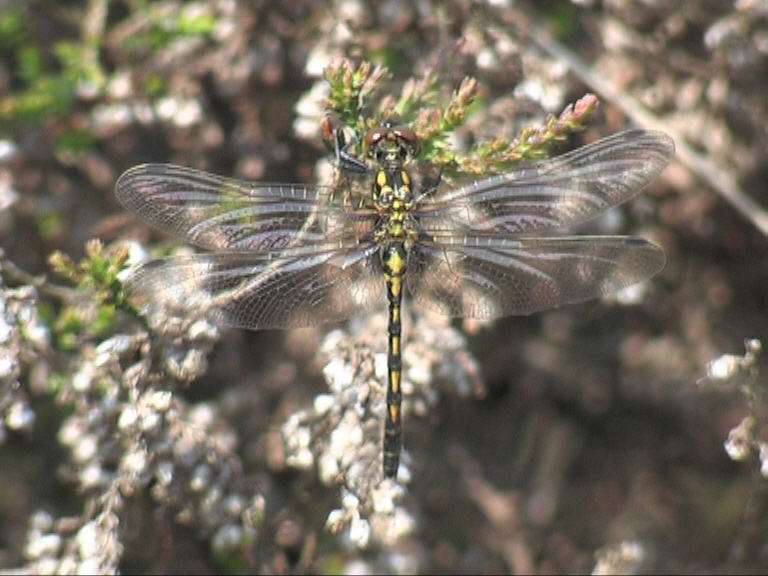 In addition we saw Black Woodpecker, Bluethoat, Goshawk and Nightingale which were nice bonuses.